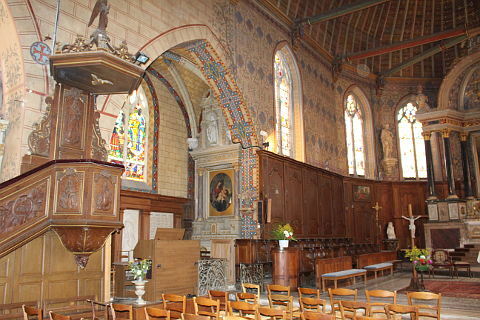 Bellême is an attractive town in the south-east of the Orne department of Normandy and east of Alencon. France This Way comment: although it is for a chance to explore the surrounding countryside that most visitors visit Bellême, be sure to also allow a little time to explore the town itself. 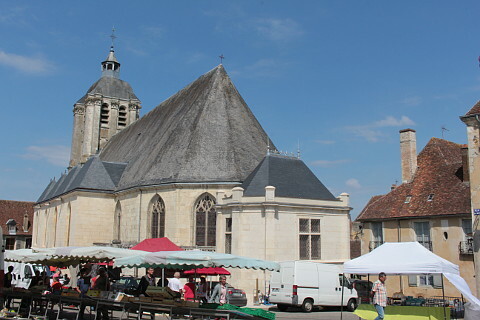 There are several interesting landmarks to discover in the town, including the Church of Saint-Sauveur, largely a 17th century reconstruction of a 15th century church. It is the decorative interior with the marble altar and the tabernacle which is the highlight but note also the external clock - it is one of very few churches built with the clock placed deliberately off-centre on the clocktower. 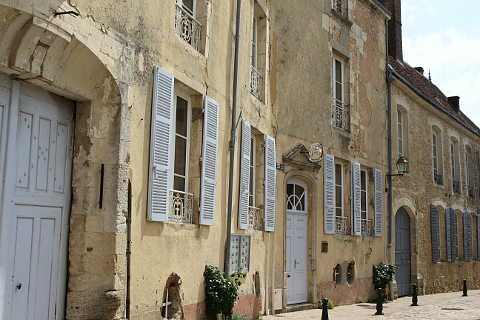 The nearby presbytery is a charming building with lovely wrought iron balconies and the traces of a sundial. 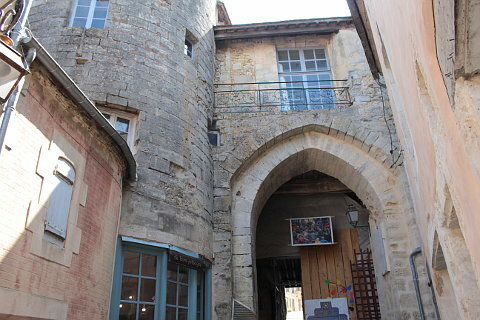 You will also see parts of the original defensive ramparts for the town, along with an original arched gateway through which you can enter the main square in the centre of Belleme (the 'Porche de Bellême' on the Place de la République). 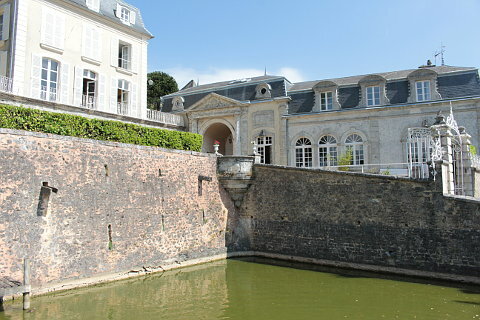 The most attractive section of ramparts still has a part of the original moat next to it. 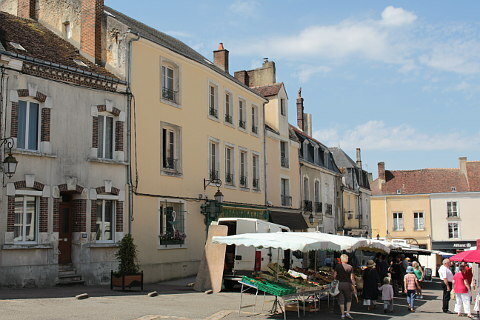 The Place de le République is used for the weekly market and on the square is the oldest house in Belleme. It was built in 1580 and the date is engraved on the window. 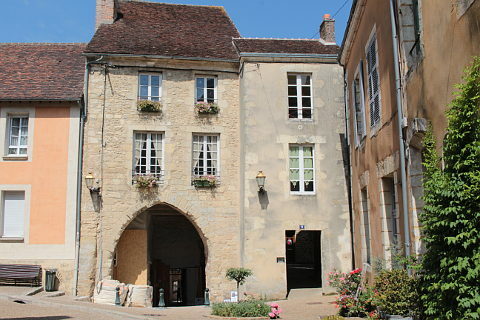 There are a good number of town houses in the centre of Bellême dating from the 17th-18th centuries, creating an attractive overall feel to the town as you amble through the winding streets of the centre, with examples including the Governor's House and the Old School. Elsewhere in Bellême there is a very ancient crypt in the Saint-Santin Chapel dating from the 10th century and some remnants of the original 15th century chateau that once stood here. A little further away along the ramparts is a watchtower called the Tour de l'Horloge. This is an hexaganol tower that defended the road from Mortagne-du-Perche. You will also notice a few antique sundials as you explore. There are six dotted around the town. We were a little disappointed to find that the tourist office was rather unhelpful and expects visitors to pay for a tourist guide to the town rather than doing all they could to attract visitors! 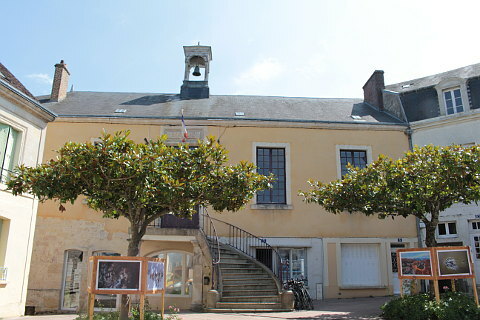 Bellême is well placed for exploring the popular Le Perche region - the town is the historic capital of this region - which is a scenic area of rolling hills, fields and woodland designated as a natural regional park. The 'dominial forest of Bellême' outside the town is an extensive forested area with numerous opportunities for leisure activities. 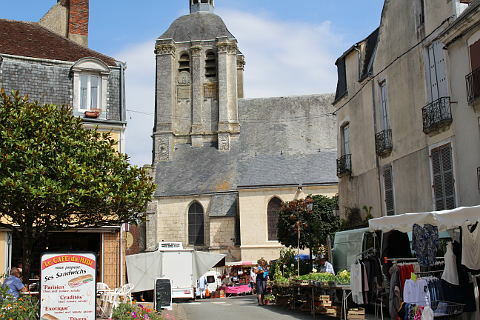 There are several other towns that merit to be explored quite close to Bellême, including Mortagne-au-Perche to the north, Nogent-le-Rotrou to the east and La Ferté-Bernard to the south: while none of these is a major destination, they each have something of interest to discover.